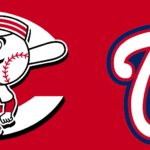 This game will be the first second in a three game series between the Cincinnati Reds and the Washington Nationals, that is going to be played at the Nationals Park in Washington DC. At the time of writing, the first game of the series has not been played yet, so we will look at their stats from the end of their previous series. Both teams come into this series from losing their last series, with the Nationals losing their three game series against the Miami Marlins, which they started by losing the first game 8 – 7, then in the second game they fought back and got a comfortable 12 – 3 win, but in the third and final game they were beaten 2 – 1, ending the series with a loss. The Reds, on the other hand, started their three game series with a win against the Tampa Bays, that ended 7 – 3. However, in the second and third game they got two straight losses that ended 6 – 5 and 8 – 3. These two teams could not be having more different seasons, with the Nationals being able to stay close to the top, while the Reds have not done well at all. The Nationals have won forty three and lost twenty nine of the seventy two games played in 2017, for a .597 winning percentage that has them comfortable in the first place of the eastern division of the National League, nine and a half games ahead of second placed team, the Atlanta Braves. They receive the Reds at Nationals Park with a good home record, having won eighteen and lost fourteen of the thirty two games they have played away from home this year, for a .563 winning percentage. The Reds have won thirty and lost forty one of their seventy one games in 2017, for a winning percentage of .423 that has them as the fifth placed team in the central division of the National League, seven and a half games behind the division’s leaders, the Milwaukee Brewers, two games and a half game behind the St Louis Cardinals in fourth place. They visit the Nationals at the Nationals Park, with .324 winning percentage that has been the worst part of their season, having won eleven of the thirty four games they have played away from the Great American Ball Park. Both teams come into this game from losses, with the Nationals losing their last game, but have been able to get five win in their last ten games. The Reds, on the other hand, have lost their last two games and have only been able to get one win in their last ten games, making their recent form terrible. The starter for the Nationals will be Joe Ross, and he will be making his tenth start of the year. In his previous games, he was able to get three wins, three losses and left three games undecided. In 2017, he has pitched 49..2 innings, allowing 66 hits, 36 runs and 11 home runs, for a terrible ERA of 5.98. Homer Bailey will be the starting pitcher for the Reds, and the 31 year old will be making his first start of 2017. In 2016, he started six games only, where they were able to get two wins and three losses, leaving one game undecided. He pitched 23 innings, 35 hits, 19 runs and 2 home runs, while striking out 27 players with an ERA of 6.65. This game will put one young players against a veteran. So we think the Nationals are going to get this second game. The total for this game is being set at 9.5, so we suggest you go for the under.